Every year, Seattle Business Magazine accepts self-nominations from companies who do business in Washington State for their 100 Best Companies to Work For. This year, five WMFHA members made the top 100! Companies nominate themselves to be considered for this prestigious honor. Their employees complete surveys that are administered by a third party across ten categories: corporate culture, executive leadership, benefits, communication, hiring/retention, performance standards, responsibility/decision making, rewards/recognition, training/education and workplace environment. Scores in each category are combined to determine an average score which ranks the winners. Lastly, they segment the list by companies headquartered outside of Washington, large companies with 150+ employees, midsize companies with 50 - 149 employees, and small companies with 15 - 49 employees. Zillow Group took the number 6 spot for large companies. Rover was close behind at number 16. Thrive Communities also placed for large companies. Pillar Properties scored number 23 for midsize businesses. Coast Property Management was also placed for midsized companies. Great job making your work environments top class, WMFHA family! If your company has 15 or more employees, be sure to self-nominate next year. 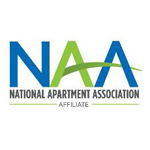 It's tough competition in the Washington market, but we know the multifamily industry has what it takes!